Our practice focuses on preventive and restorative dentistry, preserving your natural smile, and restoring damaged smiles to health and beauty with comprehensive dental maintenance and state-of-the-art dental implants. "I love being able to smile and not being afraid of what people might think." "For the first time in years, I’ve been able to chew! I love my implants. I love eating again!" "My mouth was a mess, I didn’t want to live like that anymore. I didn’t want dentures." "I wish I would have done it sooner." Dental Implants in our FREE class! At New Horizons, we are committed to making the gold standard of care available to all patients who can benefit from Dental Implants for smile restoration. Reserve a seat at our next free Dental Implant class, and find out more about replacement teeth that look, feel, and function just like your natural teeth. "New Horizons is the BEST! The care and concern for my comfort and well-being as a patient shines through in everything they do! I appreciate feeling like I am a valued customer and friend! Thank you so much!" We are a team of dedicated professionals, ready to deliver extraordinary care with extraordinary service. Dr. 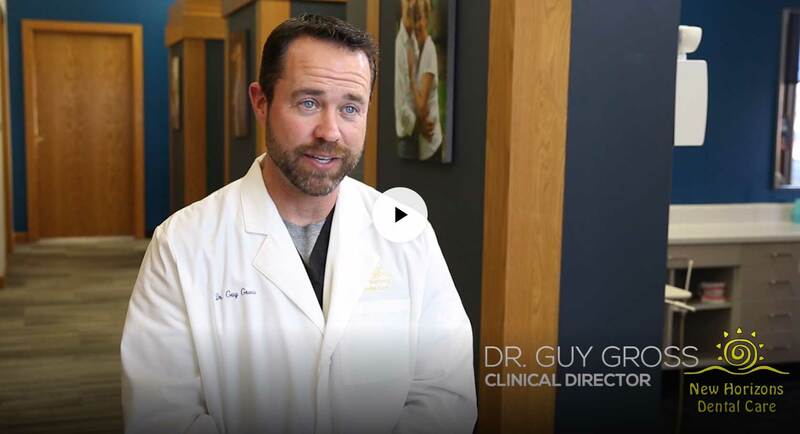 Guy Gross has a passion for placing dental implants, restoring smiles, and changing lives. At New Horizons, we have successfully placed thousands of implants for single tooth replacement as well as for implant supported bridges and dentures. Contact us today to schedule your complimentary implant consultation today and find out how dental implants can change your life! 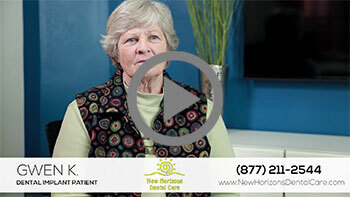 "This was the most complete dental appointment I’ve ever experienced. Everyone was very friendly and informative. I felt like the information given to me was from knowledge and experience." 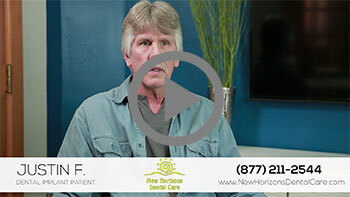 At New Horizons Dental Care of Salina, KS, we focus on providing each patient with a phenomenal and unique dental care experience. 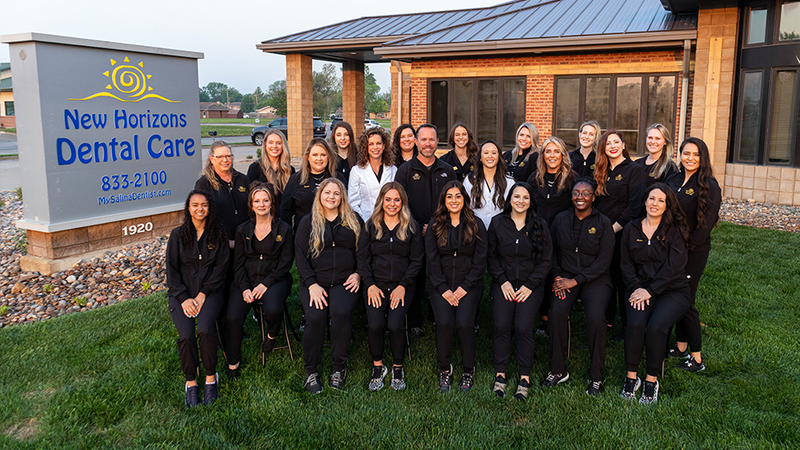 Our dentists and team work diligently to address each patient’s needs and concerns, provide clinical excellence, and deliver compassionate, exceptional care in a welcoming, anxiety free environment. Our offices are designed to promote relaxation and comfort. From our warm, inviting reception area to the relaxing, well equipped treatment rooms filled with amenities, we want every visit to reflect just how much we care about your comfort. "I would never have thought I could smile again like this. New Horizons did that!"